At around 1:16 AM on Wednesday, July 4, 2018, an anonymous call came in about the whereabouts of Jeffery Seth Odom. The caller stated that Odom wanted to surrender to Sheriff Deputies. Deputy Chris Alexander and Deputy Kent Johnson went to the residence that had called in and Odom exited the house with his shirt pulled up and his hands up and he was taken in custody without incident. Once at the Haralson County Jail, Odom stated that he had been bitten by a snake and did have an infected wound on his leg so he was taken to Higgins hospital and was medically cleared. 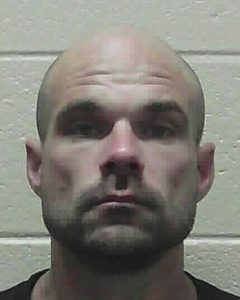 Haralson County Sheriff’s Office investigators attempted to interview Jeffery Seth Odom this afternoon but he asked for a lawyer, so we are unable to get a statement from him at this time. Searches will continue for Jessica tomorrow in the area she went missing. We know that there are volunteers who want to help us search, but they must understand that this is all private property, owned by citizens of this county, many of whom have stated that Law Enforcement may search their property but do not want civilians out there. Also, civilians must understand that if Jessica is found deceased, they would be walking through a crime scene, damaging evidence that could be crucial. “We ask that everyone keep the missing woman and her family in your prayers”, says Sheriff Eddie Mixon. “We are continuing to diligently search every angle for her and chase down every lead”.